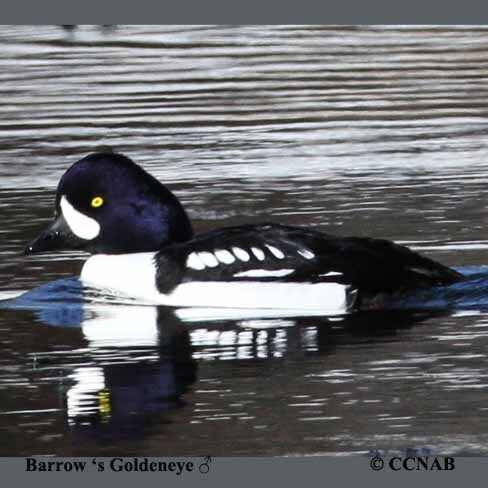 The Barrow's Goldeneye is one of the two types of goldeneyes seen in North America. 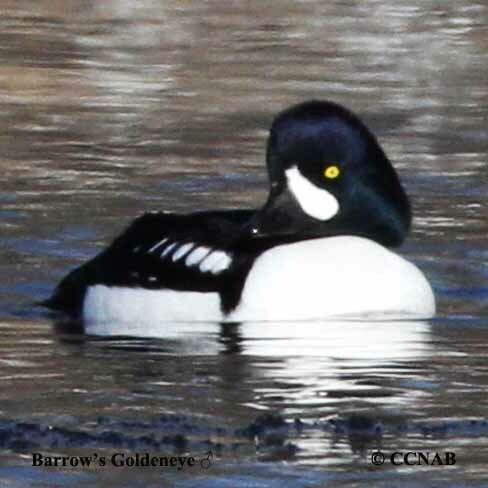 These hardy waterfowl species will stay in rivers until the winter freezes them over. They are nick named "whistlers" because of the sounds from their wings when they fly. 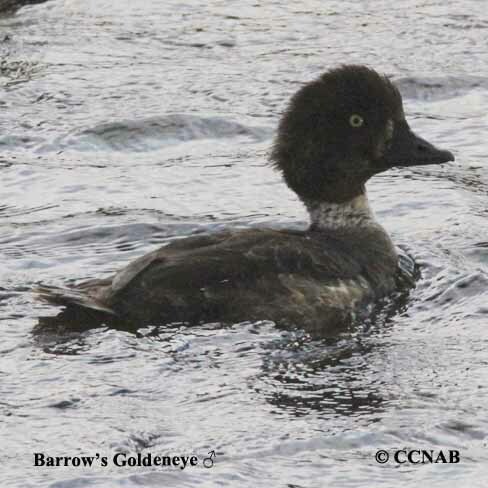 Distribution: The Barrow's Goldeneye is one of two goldeneye species seen in North America. 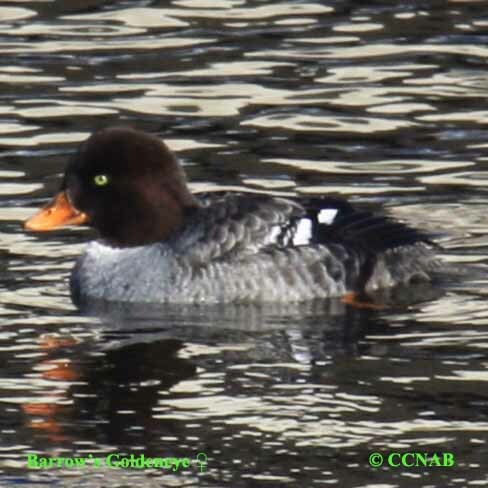 The other is the Common Goldeneye. 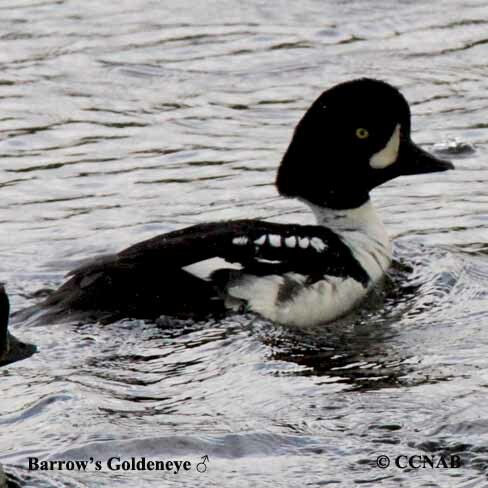 Both these waterfowl species are nicknamed "Whistlers" because of the sound of their wing beats. 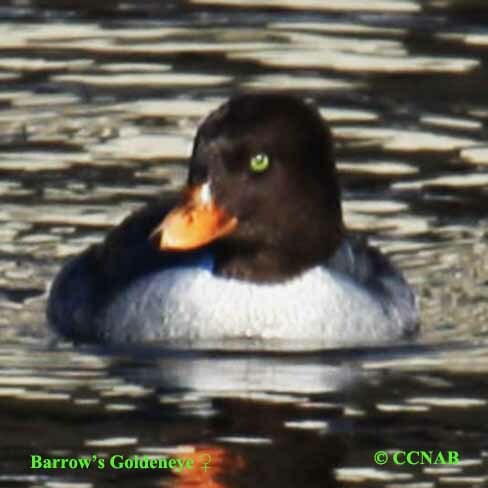 The Barrow's Goldeneye has an extended black line leading into its breast and is known as a "spur" and an elliptical white cheek patch instead of a rounded cheek patch like the Common Goldeneye. Is mostly a western bird and is seen from the western areas of the Northwest Territories, Yukon Territories, southern regions of Alaska. Most of British Columbia, the western border of Alberta and in the northwestern corner US states. There is also a small population in the northeastern area of the continent.